Buddy (Skip Mr Seal) is a registered American Quarter Horse. 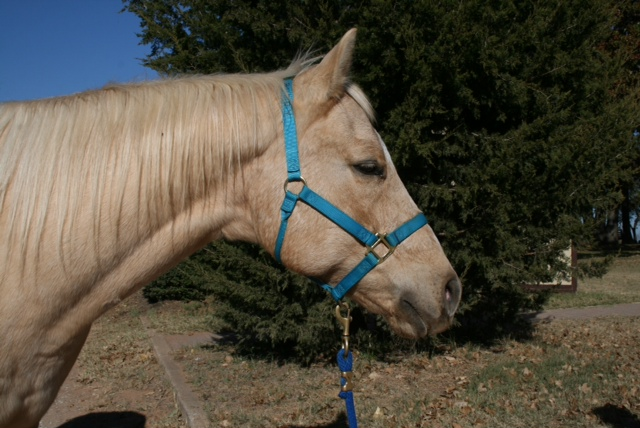 He is a very light palomino color almost the color of butter. He is 19 years old and has been with the Rocky Top family for 6 years. Buddy was a show horse before he joined us. Because of his show career he makes an excellent horse for our independent riders. He has also let it be known he prefers to be ridden without a leader by trying to bite at leaders hands. Buddy has brought home many medals from shows like Chisholm Challenge and Special Olympics. We always appreciate our old show horse because they are hard to come by. They are so important in giving confidence to our independent riders. Buddy has been doing that and so much more.